Is there room in the market for yet another exclusive track car? 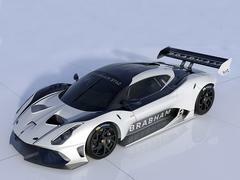 Brabham intends to find out - on its way to Le Mans. News that a Brabham car is returning to the track has been with us for a little while now. 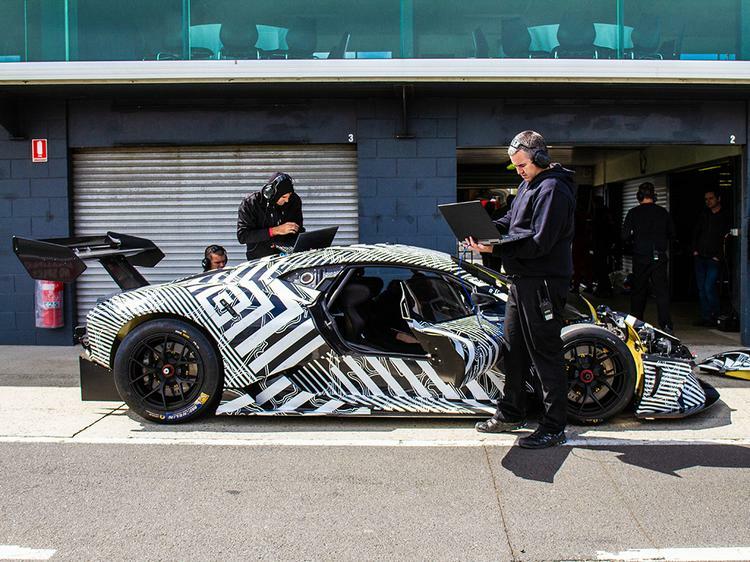 We already know what it's called, what it sounds like, and even how much downforce it generates, but now we know a lot of other things too. Firstly there're the looks. A nicely resolved - if somewhat generic - design, with more than a hint of Jaguar C-X75 about the front end, the BT62 certainly appears to be a worthy successor to Brabhams of yore. The green and gold car seen here is liveried to commemorate Jack Brabham's BT19, in which he took victory at the 1966 French Grand Prix. Each of the first 35 cars will be similarly dedicated to one of Brabham's 35 wins, with 70 produced in total to reflect the brand's 70-year heritage. 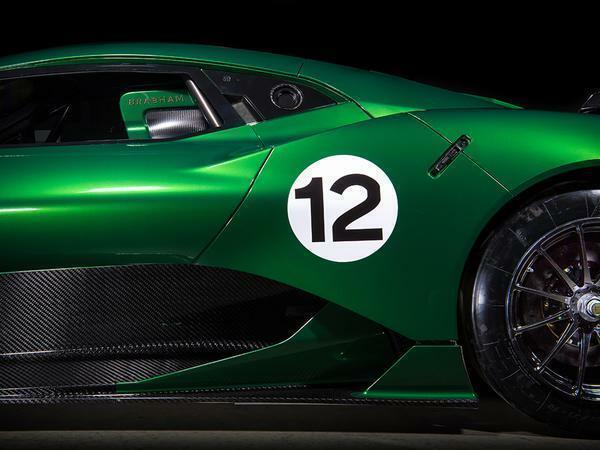 Looking like a racecar worthy of the Brabham name is relatively easy though, performing like one isn't, and it's what's underneath all that cap-doffing paintwork which will decide whether the BT62 really is the rightful heir to the throne of such motorsport royalty. On paper at least, the first signs are good. A mid-mounted 5.4-litre V8 sends 710hp (at 7,400rpm) and 492lb ft to the rear wheels via a rear-mounted six-speed Holinger sequential transmission. 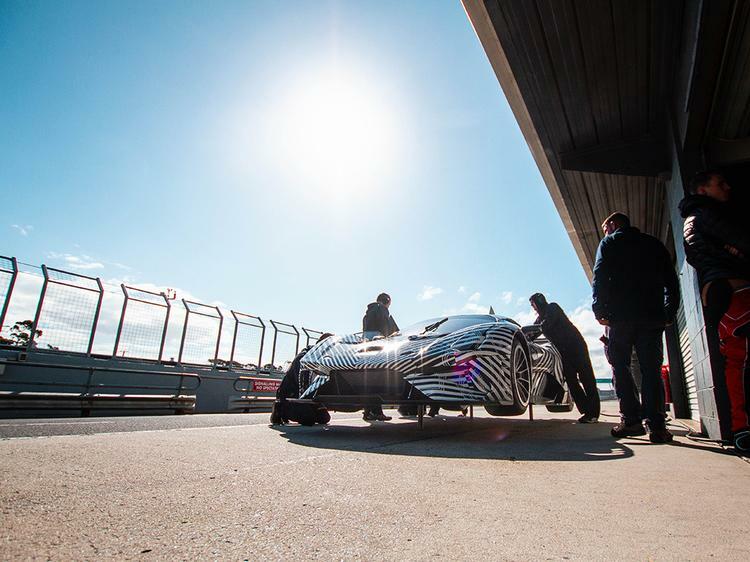 Thanks to extensive use of carbon fibre, a dry weight of just 972kg makes for a power to weight ratio of 730hp per tonne. Despite weighing so little, however, the optimised body shape, aeroblades, canards and enormous splitter and wing combo can create over 1,200kg of downforce. That, in combination with slick Michelin racing tyres, double wishbone front and rear suspension, pushrod actuated four-way adjustable Ohlins TTX dampers and six-piston Brembo carbon-carbon - not carbon fibre, but an F1-grade material used for both disc and pad, weighing half what a normal setup would whilst delivering twice the friction - brakes, ought to be enough to keep even the most aggressive of drivers on the black stuff. As has now become the norm with these things, owners of the BT62 will be enrolled in the Brabham Driver Development Programme, billed as a place where "their physical ability and determination will be raised to a place where the performance potential of both driver and vehicle can be fully exploited together as one." It won't be in the hands of amateurs for long, though. 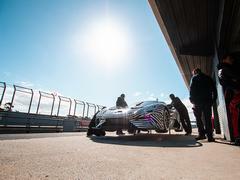 Braham insists that a long-term plan is already in place, and a product development programme underway, with the company's ultimate goal being to return to track-based competition, and in particular an entry to the 24 Hours of Le Mans. 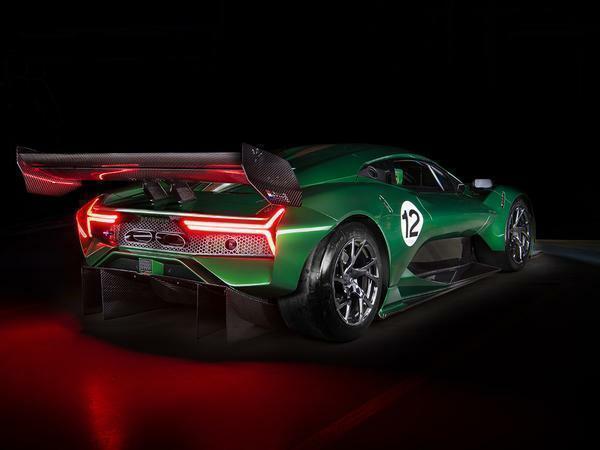 Speaking at the launch, Managing Director, David Brabham said, "I set out 12 years ago to re-establish the iconic Brabham name, determined to see it return to global competition. My father had an incredible determination to succeed and, like him, I've worked tirelessly through this time, drawing on my experience as a racing driver, leader and mentor, never once losing sight of that goal. It's been challenging at times, but what we have achieved is simply staggering. 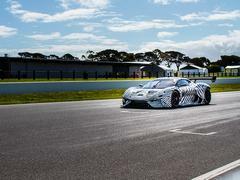 "Today's unveiling makes me feel incredibly proud as the Brabham legacy enters a new era. It's with great pride that I honour and continue my father's legacy in revealing the next chapter in the evolving Brabham story. 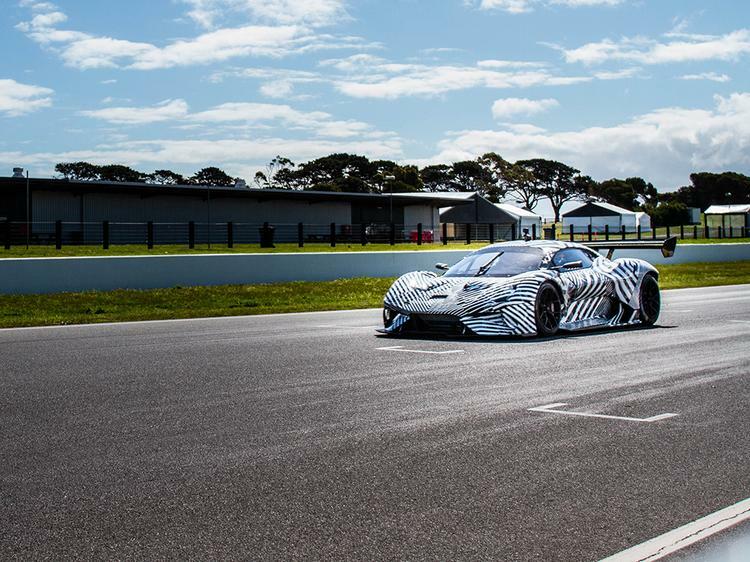 The team we have in place, and the vision it shares, provides a solid platform for Brabham Automotive to execute its long-term business strategy. 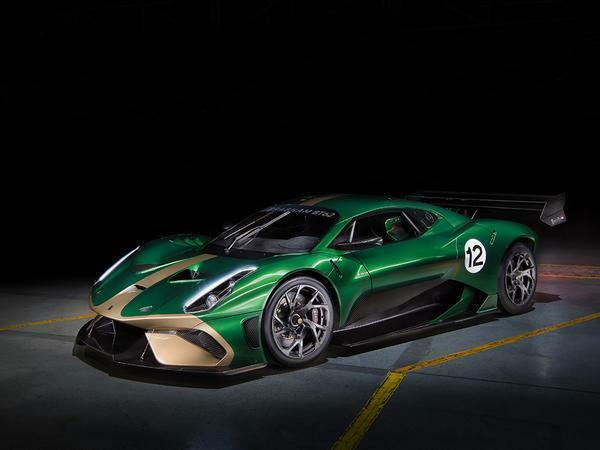 Our first step to deliver on that strategy is the Brabham BT62, a car truly worthy of carrying the iconic Brabham name." 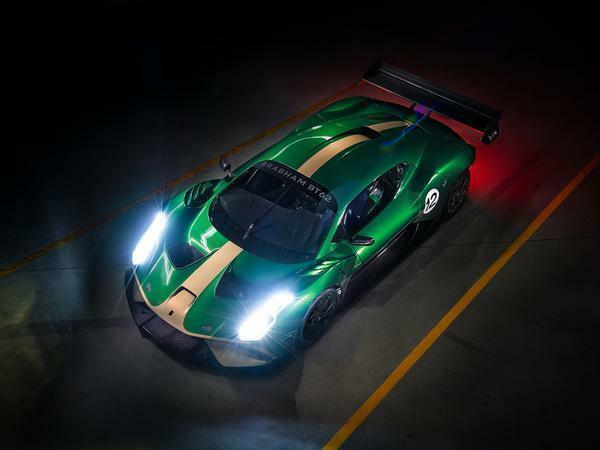 Staying true to its roots, then, the BT62 is being manufactured in a 15,000sq.m facility in Adelaide, with first deliveries expected later this year. And the price for this blend of future tech and historic cache? £1,000,000. Plus taxes. 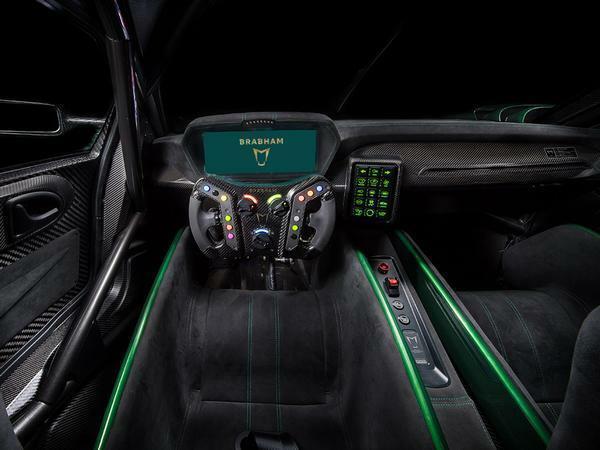 Before options - such as a bespoke passenger seat, custom livery and visual carbon fibre. Still, if that outlay sees a Brabham car competing on the Le Mans grid within the next few years, it'll be money well spent. My oh my, look at all the clickbait on this website these days. Especially at only 7400 RPM. It's not possible. I bet it's supercharged. Agree. It's either got a supercharger or revs to 10000rpm. They all look the same these days. Unless I’m getting old.